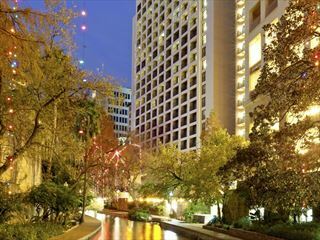 The Westin Riverwalk is situated on the world-famous Riverwalk in San Antonio and is close to all the major attractions. There are many different museums, lots of golf courses, shopping centres, San Antonio Zoo, Sea World and Six Flags Fiesta Texas, a 200-acre park full of fun and exciting rides. The hotel is situated on a bend of the Riverwalk, near the Arneson River Theatre, La Villita, convention centre and Alamodome, an ideal location for business and leisure travellers. With a full business centre with meeting rooms, a fantastic gym, Woodhouse Day Spa and an outdoor heated pool, with lovely deck and pool bar. There are 409 guestrooms offering luxury and comfort, charming decor and great city or river views with a tasty Italian restaurant and a coffee shop onsite. 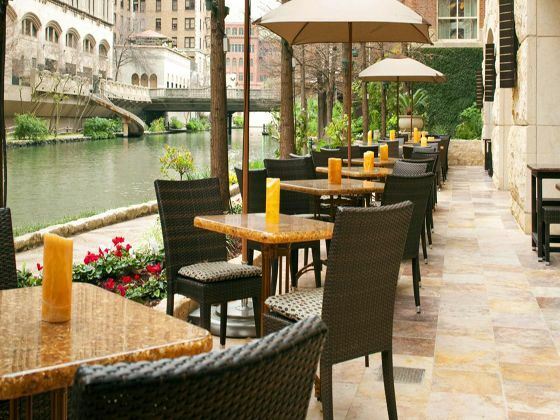 Situated on the world-famous Riverwalk in San Antonio and is close to all the major attractions. 15 minutes from San Antonia International Airport. This family friendly, comfortable hotel is located in the city centre just a short walk from the hitoric Alamo, two blocks away from the lively market place and 10 minute walk from the Riverwalk. The Omni San Antonio Hotel is alive with the spirit of Texas. This four-diamond, luxury hotel captures the essence of the city with impeccable service and charm.